At Blythefield Memory Gardens, all of our traditional burials are performed using a burial vault. Placed in the ground prior to burial, the burial vault encases the coffin within a protective, sealed environment, supporting the weight of the earth above it. Burial vaults eliminate the possibility of cave-ins, ensuring that the burial location you choose remains pristine for future generations to enjoy. 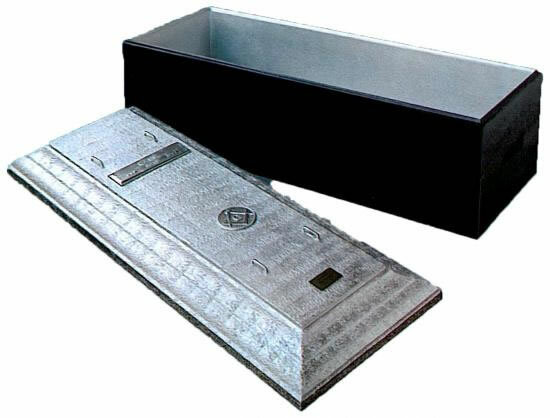 Our burial vaults are available in a variety of different materials and types, each offering differing levels of strength and personalization. If you are planning on a traditional interment for your loved one, we invite you to contact us at 616.866.2666 to answer any questions you may have in regards to burial vault options or the burial process, or feel free to request a consult to schedule a meeting with one of our caring, compassionate family counselors.